When it comes to buying a new vehicle, there is a massive number of different types to choose from. You’ve got sedans, coupes, hatchbacks, crossovers, SUVs, et cetera, et cetera, just to name a few. Then, of course, you’ve also got pickup trucks. There are all different kinds of pickup trucks in a multitude of sizes as well from compact to heavy duty, and sometimes even bigger depending on your needs. While there are several different manufacturers that offer trucks, there is one brand that focuses solely on the truck classification, and that’s RAM. We’ve almost always got a nice selected of used RAM trucks in Phenix City, AL, so give our inventory a look if you’re interested. RAM has a wide selection of different trucks on its lineup to meet a wide array of needs. The RAM 1500, RAM 2500 and RAM 3500 are your regular pickup trucks, stepping it up a “duty” with each one. 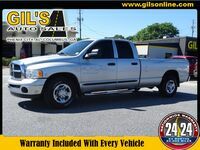 Then there’s the RAM Chassis Cab, which admittedly you probably won’t see here at Gil’s. 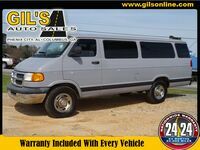 But there is a chance you might come across the RAM ProMaster, a configurable work van. Plus, there’s a good chance we might get some older RAM models here at Gil’s Auto Sales, like the RAM Dakota or Ram C/V Tradesman. No matter what your automotive needs, we’re going to do our best to take care of them right here at Gil’s Auto Sales. So, if you see a RAM truck that you’re interested in, be sure to schedule a test drive or give us a call. But if you see a RAM truck you like elsewhere and can’t find one here, feel free to reach out to us and we’ll see if we can’t find one to bring in for you. All you need to do is browse our inventory, either right here on our website, or by stopping right into the dealership. We cannot wait to help you find the perfect RAM truck to meet your needs. Interested in a Used RAM Trucks?